Time Travelling Churches: A look at our first level in development. Hello all, Kevin Zuhn here with a message from the past: Building tutorial levels is hard! 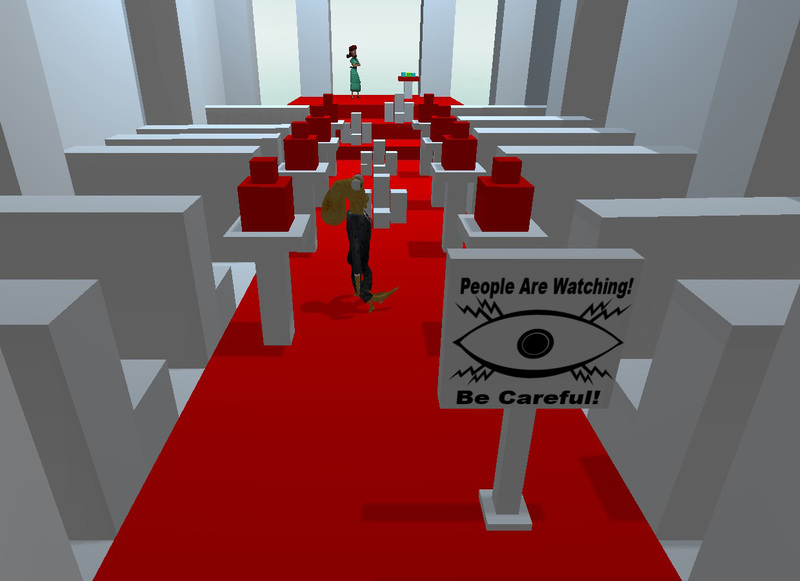 Back on the first Octodad we left our tutorial level until late in development, and it shows. Upon starting Dadliest Catch, we decided to do it right, and build the tutorial first. This time we would make it a wedding scene in a church so that it would be exciting and memorable as well as informative. The church level has therefore been in development from day one, and you can look back through its history to see how Octodad has taken shape over time! Lucky for all of us I kept archives of outdated versions of Octodad from years past! Take a walk with me through time. Don’t worry, it won’t make your nose bleed. I think. Welcome to late July, 2011! At this time, our Kickstarter was still weeks away from finishing. Functionally speaking, our sequel was still identical to Octodad, and our editor had only advanced slightly since the end of the first project. You can see in the chapel below that we had old character models, and if you were to play this, it would be with the old controls!